Order online this gift of Elegant One or More Designer Ethnic Rakhi Provided with 250 Gms. 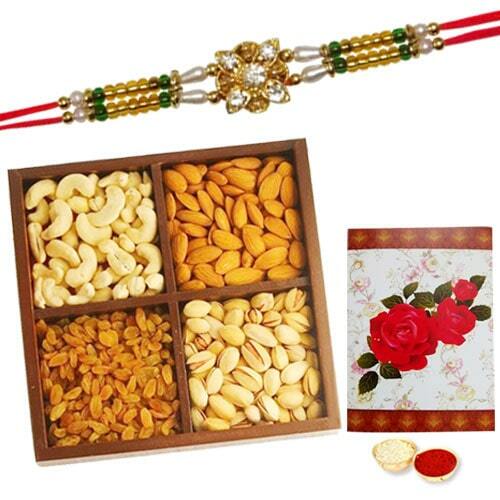 Dry Fruits and make the Raksha Bandhan function of your loved ones grander. It also comes with Handmade Paper Rakhi Card. Rakhi design may change a little.